We have no independent judgements on whether she was a just ruler. However the following quotation in the first paragraph of the Anglo-Saxon Chronicle in 918, a few months before her death, is noteworthy. "She took the borough of Leicester under her rule, peacefully, early in the year, and the greatest part of the force that belonged to it became subject to her. The people of York had also promised her (some gave pledges, and some fastened it with oaths) that they would be under her rule." Ethelfleda died soon afterwards and the pledges from York were not transferred to King Edward. When Mercia was finally absorbed, it was not absorbed into Wessex or greater Wessex but into England. The term Anglo-Saxon reflects King Alfred's diplomatic integration of the Angles and the Saxons. Ethelfleda and her brother succeeded in giving the Angles of Mercia and the Saxons of Wessex a common identity, which led the formation of the Anglo-Saxon kingdom of England. 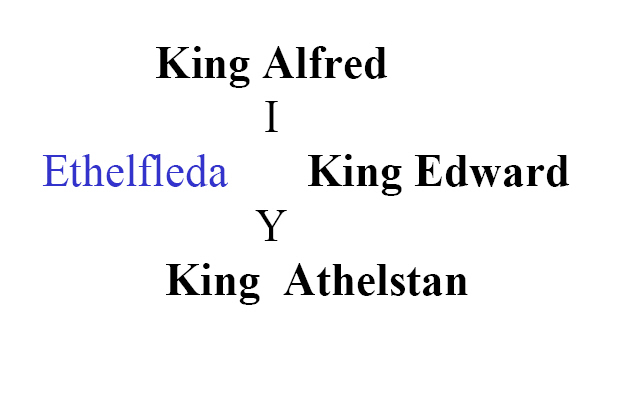 Athelstan, her nephew and foster son, succeeded Edward as King of England and carried on their work. 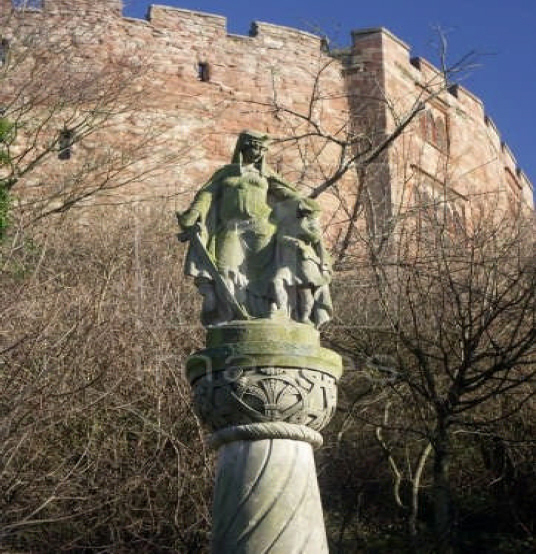 This statue at Tamworth Castle was commissioned in 1913 to mark the thousand year anniversary of the founding of Tamworth by Ethelfleda. It shows her with Athelstan who was the eldest son of King Edward.